Diane Remy School of Dance & Baton, Inc. | "It matters little whether one is gifted for dance; dance is a gift for us all"
Welcome to the Diane Remy School of Dance and Baton, Inc.
Diane Remy will be a the Kiel Community Center – Lower Level for Enrollment, Questions, Measuring, Etc., Sunday September 9, 2018, 1:00pm-4:00pm. Registration for fall classes in Sheboygan by Saturday, September 8, 2018. Registration for fall classes in Kiel by Friday, September 7, 2018. Kiel Classes begin: Monday, September 10, 2018. Sheboygan Classes begin: week of September 10, 2018. Pre-ballet students instructed by Diane Remy include Nadia Lulloff, Joslyn Rutten, Ariana Anderson, Clare Kuhn and Victoria Stock. 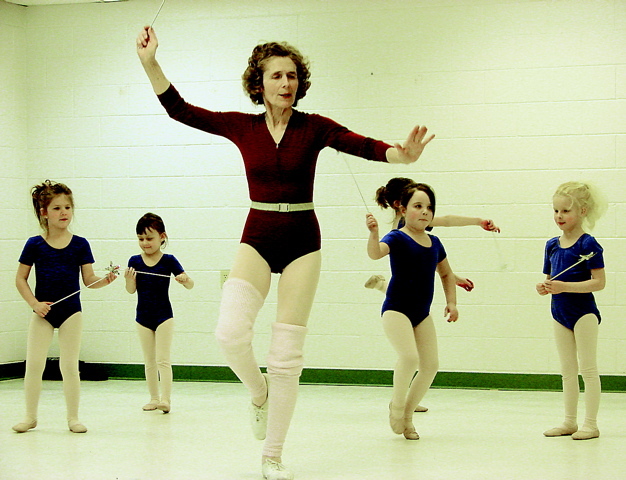 Pre-ballet incorporates body awareness through floor exercises, use of 8 basic movements of dance (jump, hop, etc.). Young students develop an awareness of space and are prepared for the basics of ballet as they learn about rhythm and they have fun moving to rhythm sticks, drums, tambourines, and other instruments. “It matters little whether one is gifted for dance; dance is a gift for us all” states an amber brochure highlighting the pride and reverence of the Diane Remy School of Dance & Baton, Inc., a dance company formed by an experienced and poised professional. For the second year, Diane Remy, owner of the Diane Remy School of Dance and Baton, located in Sheboygan, has offered dance classes in Kiel. Utilizing the Kiel Community Center and City Hall has given participants of all ages the chance to learn rhythm, techniques, performance dynamics and overall appreciation for many different types of dance. Currently, Remy teaches students in age ranges from 4 through 14 on Mondays at the Community Center. This program begins in September and will end in May. There are 25 children who are participating in ballet, tap, jazz, Spanish dance and baton twirling in Kiel. These dancers will be joined with her Sheboygan performers for an April 8 performance at the John Kohler Michael Arts Center. Â In April, ballroom dancing will be offered at City Hall or the Community Center. Remy holds a Grade Five classical ballet teacher rating under the Cecchetti Council of American Ballet Examiners through study with Phyllis Wills of the Evanston School of Ballet where she currently studies with Kerry Hubata. Remy is affiliated with and has taught on the faculties of Dance Masters of Wisconsin, Chicago National Association Dance Masters, Cecchetti Council of America Midwest Branch, Wisconsin Dance Council, and for the National Association of Dance Affiliated Artists. This local teacher received her early training with Helen Finst of Sheboygan, Vesper Chamberlin of Appleton and Tibor Zana of Madison. Among her many credit, she studied at Dieman-Bennet School of Dance in Iowa, Chicago National Association Dance Masters, the Giordano Dance Center, the Lynda Martha Dance Institute and several others throughout Wisconsin and Chicago. Dancers listen to the instruction of Diane Remy as she details the movements they will be performaing for the April 19 performance at the John Michael Kohler Arts Center. She has performed throughout the Midwest and with the Wisconsin Ballet Company and the Racine Dance Theater. She is a majorette for the Sheboygan Pops Concert Band, and has danced and choreographed musicals for Sheboygan Theater Company. Her school is a non-profit organization and offers scholarships in addition to education and valuable dance skills. Since 1975 there has been a scholarship program available to help people study the art form who, according to Remy, might otherwise never have the chance. Some of her students have gone on to graduate with dance majors from universities such as Stevens Point, Butler, Indiana and Milwaukee. In 1989 the school, under the Wisconsin Federation of Music Clubs, formed a Junior Dance Club called “Keep Dancing.” For the past 28 years, dance students participated in festivals taking their dance exams and working toward WFMC gold cups. In 1991 Remy received the Bernice Scott Award for dance contribution to the J.M. Kohler Arts Center. In 1992 she was named the National Music Week Person of the Year by the Sheboygan Music Club. Also that year she was elected to the Music Wall of Fame in Fountain Park in Sheboygan. For more information about the school, dance styles, policies or upcoming classes, contact Diane Remy at (920) 452-8697 or visit her Web site at www.dianeremy.org. To learn more about upcoming ballroom dance classes (including foxtrot, waltz and swing) in Kiel, contact Kiel Recreational Department Director Melissa Brandt at 920-894-7861. The original story is © 2008 Tri-County News. Reprinted with permission.